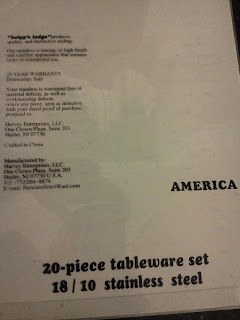 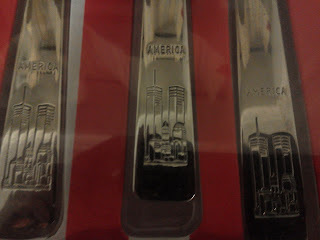 Holpp's Lodge silverware featuring the Twin Towers and the word America on each piece. 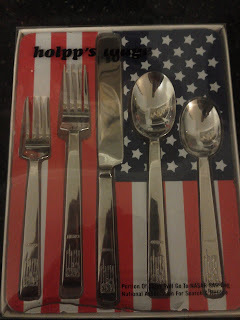 The silverware is enclosed in a patriotic package. 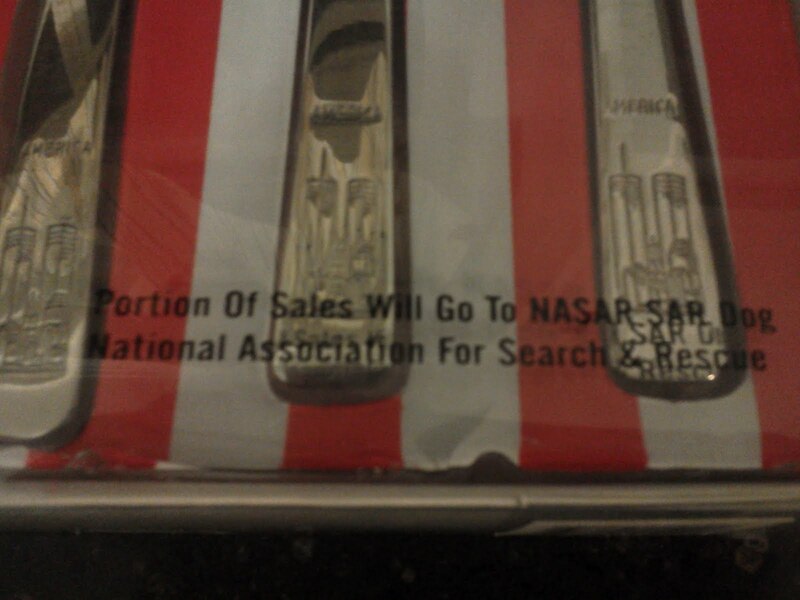 The package also relates: "Portion of Sales Will Go To NASAR SAR Dog National Association For Search & Rescue." This silverware is a striking tribute item, and is a great example of the impact of 9/11. 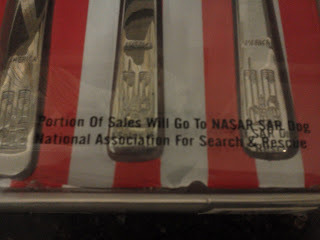 One has to wonder if someone would really use this in their household. 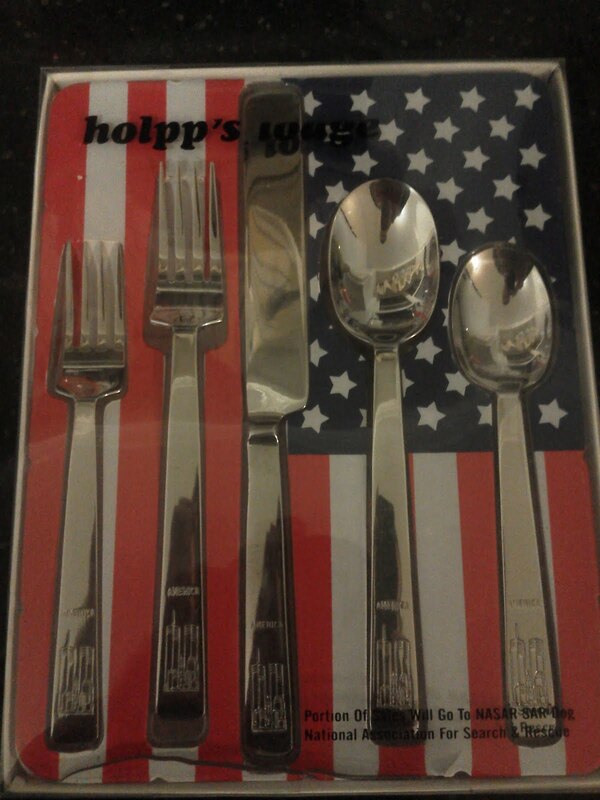 How much is this set valued at?